Whatever Happened to Bruce Willis? I don’t want to say I wished Bruce Willis ill after I had a contentious interview with him last year. After all, the guy did semi-apologize. But I do find it karmically apt that Willis had not one, but two movies, bomb at the box office this weekend: the sequel Sin City: A Dame to Kill For only earned roughly 10% of its $60-$70 million budget back, and the B-movie The Prince was released simultaneously in theaters (where it apparently made so little money it didn’t even report grosses) and on VOD. To be fair, Willis isn’t the star of either movie. He has only a few scenes in the new Sin City, since his character, Detective John Hartigan, was killed off in the 2005 original. He returns to haunt Jessica Alba’s stripper, Nancy, and Powers Boothe’s big bad guy, Rourke (not to be confused with Mickey Rourke, who once again steals the movie as Marv, Nancy’s disfigured protector). It’s somehow fitting that Willis plays a ghost, because he seems like a shadow of his former self. But why did Willis’ Looper costar Joseph Gordon-Levitt sign on for a small, thankless role as Rourke’s (the character’s, not the actor’s) doomed gambler son? Willis and JGL get upstaged by the more-often-naked-than-not Eva Green (as a femme fatale named Ava) but Ray Liotta (as a murderous adulterer), Christopher Lloyd (wittily cast as a doctor much madder than Back to the Future‘s Doc Brown) and SVU vet Chris Meloni (as a pervy cop). On the whole, A Dame to Kill For is much more enjoyable than its predecessor, as it doesn’t take itself so seriously and revels in its own trashiness. But its miserable box-office performance means it will probably just be another proverbial nail in the coffin of Willis’ career. The Prince won’t do as much damage to Willis’ star status, because most people will never hear of it. It’s more of a vehicle for Jason “Why am I not a star yet?” Patric, cast as a former assassin who comes out of retirement to rescue his drug-addicted daughter. Willis enters more than half an hour into the 90-minute time-killer as a crime boss whose wife and daughter were accidentally blown to bits by Patric’s “Prince.” Even later in the movie, John Cusack (who’s long overdue for his own “Whatever Happened To…” column) appears as a former co-hort of Patric’s. Even later than that, Curtis “50 Cent” Jackson (who co-starred with Willis in another direct-to-VOD clinker, 2011’s The Setup) turns up as a drug lord named The Pharmacy. But Willis is the big villain, and he gets to chew the scenery by doing the talking-killer routine while holding Patric’s daughter at gunpoint before he eats hot lead. 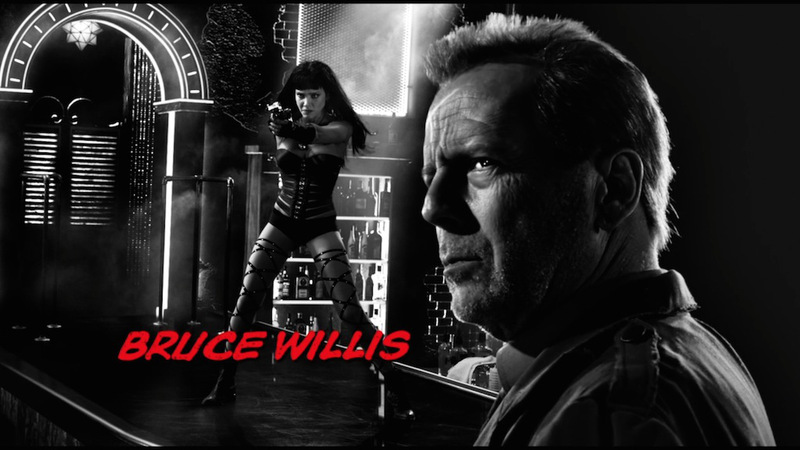 Willis seemed like he was on the verge of a comeback a few years ago with the acclaimed sleepers Looper and Moonrise Kingdom, but a string of dud sequels (A Good Day to Die Hard, G.I. Joe: Retaliation, RED 2) and obscure potboilers (The Cold Light of Day, anyone?) have dragged him back into a morass of creative malaise. Somehow he avoided reprising his role in The Expendables 3, so at least he’s got that going for him. Or not against him. And it doesn’t look like he’s going to pull out of his tailspin anytime soon: Rock the Casbah, which reunites him with Bandits‘ Barry Levinson (and we all know how that turned out) has been bumped until next year. The sci-fi drama Vice reunites him with The Prince director Brian A. Miller, who might be better suited to being a miller than a director. And Labor of Love reunites him with The Sixth Sense and Unbreakable director M. Night Shyamalan, whose last six movies (Signs, The Village, Lady in the Water, The Happening and After Earth) have been much more laborious than lovable. Hey–thanks for posting that old commercial with Willis–that came out around the time he was on Moonlight, the show that first made him famous pre-Die Hard. Always liked that—-he also did a song with the Pointer Sisters—a remake of “Express Yourself” by the Staple Singers–that’s worth checking out,too. But, honestly, the man’s near retirement age—I guess he feels he ain’t got anything to prove anymore, so he dosen’t care what he’s in. « Matthew Weiner, Where Are You?